CARFAX ONE OWNER, CLEAN HISTORY & NO ACCIDENTS, ALLOYS, POWER SEAT, LEATHER, Titanium w/Custom Cloth Seat Trim. Included with our Pre-Owned Promise you will received: * 12 Months or 12k mile Wearable Item Coverage * 6 Months or 6k mile Major Item Coverage * Love or Leave it Promise with 3 Day Refunds or 30 Day Exchanges * 12 Months of Roadside Assistance and much more!! Click her for complete details http://www.hoselton.com/about-us/hoselton-preowned-promise/ Awards: * 2009 KBB.com Best 10 Family Vehicles Please call us @ (585) 662-2670 with any questions and to check availability. CARFAX ONE OWNER, CLEAN HISTORY & NO ACCIDENTS, BOUGHT AND SERVICED HERE, SERVICE RECORDS AVAILABLE, BLUETOOTH, BACK UP CAMERA, ALLOYS, NAVIGATION, 1.5L I4 SMPI DOHC, 16" x 6JJ Alloy Disc Wheels, 4-Spoke Leather Steering Wheel, Back-Up Camera, EMV Navigation System, HomeLink, Natural Leather Seat Trim, Package #3, Package #5 - Touring Edition, Package #6 - Touring Edition, Panic alarm, Power door mirrors, Remote keyless entry, Security Alarm, Smart Key System, Vehicle Stability Control. Included with our Pre-Owned Promise you will received: * 12 Months or 12k mile Wearable Item Coverage * 6 Months or 6k mile Major Item Coverage * Love or Leave it Promise with 3 Day Refunds or 30 Day Exchanges * 12 Months of Roadside Assistance and much more!! Click her for complete details http://www.hoselton.com/about-us/hoselton-preowned-promise/ Awards: * 2007 KBB.com Best Resale Value Awards Please call us @ (585) 662-2670 with any questions and to check availability. CARFAX ONE OWNER, CLEAN HISTORY & NO ACCIDENTS, Jet Black w/Premium Cloth/Leatherette Seat Trim. Included with our Pre-Owned Promise you will received: * 12 Months or 12k mile Wearable Item Coverage * 6 Months or 6k mile Major Item Coverage * Love or Leave it Promise with 3 Day Refunds or 30 Day Exchanges * 12 Months of Roadside Assistance and much more!! Click her for complete details http://www.hoselton.com/about-us/hoselton-preowned-promise/ Awards: * JD Power Dependability Study * 2013 IIHS Top Safety Pick Please call us @ (585) 662-2670 with any questions and to check availability. CARFAX ONE OWNER, CLEAN HISTORY & NO ACCIDENTS, Titanium w/Custom Cloth Seat Trim, 18" 5-Spoke Bright Chrome-Tech Wheels, Bluetooth® For Phone, Driver 6-Way Power Seat Adjuster, Power Convenience Package, Power driver seat, Remote Vehicle Starter System, Sun & Wheel Package, Tilt-Sliding Power Sunroof, XM Radio. Included with our Pre-Owned Promise you will received: * 12 Months or 12k mile Wearable Item Coverage * 6 Months or 6k mile Major Item Coverage * Love or Leave it Promise with 3 Day Refunds or 30 Day Exchanges * 12 Months of Roadside Assistance and much more!! Click her for complete details http://www.hoselton.com/about-us/hoselton-preowned-promise/ Awards: * 2009 KBB.com Best 10 Family Vehicles Please call us @ (585) 662-2670 with any questions and to check availability. CLEAN HISTORY & NO ACCIDENTS, ABS brakes, Alloy wheels, Electronic Stability Control, Heated door mirrors, Illuminated entry, Low tire pressure warning, Rear Deck Spoiler, Remote keyless entry, Sport Package, Traction control. Included with our Pre-Owned Promise you will received: * 12 Months or 12k mile Wearable Item Coverage * 6 Months or 6k mile Major Item Coverage * Love or Leave it Promise with 3 Day Refunds or 30 Day Exchanges * 12 Months of Roadside Assistance and much more!! Click her for complete details http://www.hoselton.com/about-us/hoselton-preowned-promise/ Awards: * 2011 KBB.com Brand Image Awards Please call us @ (585) 662-2670 with any questions and to check availability. POWER SEAT, Jet Black w/Premium Cloth/Leatherette Seat Trim. Included with our Pre-Owned Promise you will received: * 12 Months or 12k mile Wearable Item Coverage * 6 Months or 6k mile Major Item Coverage * Love or Leave it Promise with 3 Day Refunds or 30 Day Exchanges * 12 Months of Roadside Assistance and much more!! Click her for complete details http://www.hoselton.com/about-us/hoselton-preowned-promise/ Awards: * JD Power Dependability Study * 2013 IIHS Top Safety Pick * Ward's 10 Best Engines Please call us @ (585) 662-2670 with any questions and to check availability. BLUETOOTH, POWER SEAT, Ash w/Fabric Seat Trim or Leather Seat Trim, ABS brakes, Electronic Stability Control, Illuminated entry, Low tire pressure warning, Remote keyless entry, Traction control. Included with our Pre-Owned Promise you will received: * 12 Months or 12k mile Wearable Item Coverage * 6 Months or 6k mile Major Item Coverage * Love or Leave it Promise with 3 Day Refunds or 30 Day Exchanges * 12 Months of Roadside Assistance and much more!! Click her for complete details http://www.hoselton.com/about-us/hoselton-preowned-promise/ Awards: * 2010 KBB.com 10 Most Comfortable Cars Under $30,000 * 2010 KBB.com Best Resale Value Awards Please call us @ (585) 662-2670 with any questions and to check availability. ABS brakes, Alloy wheels, Electronic Stability Control, Heated door mirrors, Illuminated entry, Low tire pressure warning, Remote keyless entry, Traction control. Included with our Pre-Owned Promise you will received: * 12 Months or 12k mile Wearable Item Coverage * 6 Months or 6k mile Major Item Coverage * Love or Leave it Promise with 3 Day Refunds or 30 Day Exchanges * 12 Months of Roadside Assistance and much more!! 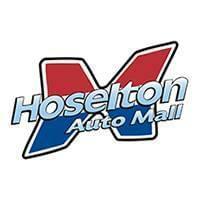 Click her for complete details http://www.hoselton.com/about-us/hoselton-preowned-promise/ Awards: * 2014 KBB.com 10 Tech-Savviest Cars Under $20,000 * 2014 KBB.com 5-Year Cost to Own Awards * 2014 KBB.com Best Resale Value Awards Please call us @ (585) 662-2670 with any questions and to check availability. Convenience Package, Heated Driver & Front Passenger Seats, Leather-Appointed Seat Trim, Leather-Wrapped Shift Knob, Remote Vehicle Starter System, Universal Home Remote. Included with our Pre-Owned Promise you will received: * 12 Months or 12k mile Wearable Item Coverage * 6 Months or 6k mile Major Item Coverage * Love or Leave it Promise with 3 Day Refunds or 30 Day Exchanges * 12 Months of Roadside Assistance and much more!! Click her for complete details http://www.hoselton.com/about-us/hoselton-preowned-promise/ Awards: * 2014 KBB.com Brand Image Awards Please call us @ (585) 662-2670 with any questions and to check availability. AWD, 4WD, Ash w/Fabric Seat Trim, 17" 5-Spoke Styled Steel Wheels, ABS brakes, Base L4 EVP Package, Daytime Running Lights, Electronic Stability Control, Illuminated entry, Low tire pressure warning, Rear Privacy Glass, Remote keyless entry, Traction control. Included with our Pre-Owned Promise you will received: * 12 Months or 12k mile Wearable Item Coverage * 6 Months or 6k mile Major Item Coverage * Love or Leave it Promise with 3 Day Refunds or 30 Day Exchanges * 12 Months of Roadside Assistance and much more!! Click her for complete details http://www.hoselton.com/about-us/hoselton-preowned-promise/ Awards: * 2010 KBB.com Best Resale Value Awards * 2010 KBB.com 10 Best Used Family Cars Under $15,000 Please call us @ (585) 662-2670 with any questions and to check availability. CARFAX ONE OWNER, CLEAN HISTORY & NO ACCIDENTS, BLUETOOTH, ALLOYS, POWER SEAT, Bluetooth® For Phone, Connectivity Plus Cruise Package, Electronic Cruise Control w/Set & Resume Speed, Radio: AM/FM/CD/MP3/WMA, SIRIUSXM Satellite Radio, Steering Wheel Controls, USB Port. Included with our Pre-Owned Promise you will received: * 12 Months or 12k mile Wearable Item Coverage * 6 Months or 6k mile Major Item Coverage * Love or Leave it Promise with 3 Day Refunds or 30 Day Exchanges * 12 Months of Roadside Assistance and much more!! Click her for complete details http://www.hoselton.com/about-us/hoselton-preowned-promise/ Awards: * JD Power APEAL Study * 2012 IIHS Top Safety Pick * 2012 KBB.com 10 Best Coolest Cars Under $18,000 Please call us @ (585) 662-2670 with any questions and to check availability. CARFAX ONE OWNER, BLUETOOTH, POWER SEAT, MOON ROOF, LEATHER, NAVIGATION, Ivory w/Leather Seat Trim, 4-Way Power-Adjustable Front Passenger Seat, Alarm & Immobilizer Anti-Theft System, Convenience Package, EC Auto-Dimming Rearview Mirror w/ Compass, HomeLink Universal Transceiver, Integrated Back-Up Camera w/Static Line, Leather Door Trim, Leather Package, Leather-Trimmed Seats, Power Front Driver & Passenger Heated Seats, Push Button Starting System, Smart Key System w/Panic Wireless Door Lock. Included with our Pre-Owned Promise you will received: * 12 Months or 12k mile Wearable Item Coverage * 6 Months or 6k mile Major Item Coverage * Love or Leave it Promise with 3 Day Refunds or 30 Day Exchanges * 12 Months of Roadside Assistance and much more!! Click her for complete details http://www.hoselton.com/about-us/hoselton-preowned-promise/ Awards: * 2012 KBB.com Best Resale Value Awards * 2012 KBB.com 10 Best Sedans Under $25,000 * 2012 KBB.com 10 Most Comfortable Cars Under $30,000 Please call us @ (585) 662-2670 with any questions and to check availability. CARFAX ONE OWNER, CLEAN HISTORY & NO ACCIDENTS. Included with our Pre-Owned Promise you will received: * 12 Months or 12k mile Wearable Item Coverage * 6 Months or 6k mile Major Item Coverage * Love or Leave it Promise with 3 Day Refunds or 30 Day Exchanges * 12 Months of Roadside Assistance and much more!! Click her for complete details http://www.hoselton.com/about-us/hoselton-preowned-promise/ Awards: * 2011 KBB.com Brand Image Awards Please call us @ (585) 662-2670 with any questions and to check availability. CARFAX ONE OWNER. Included with our Pre-Owned Promise you will received: * 12 Months or 12k mile Wearable Item Coverage * 6 Months or 6k mile Major Item Coverage * Love or Leave it Promise with 3 Day Refunds or 30 Day Exchanges * 12 Months of Roadside Assistance and much more!! Click her for complete details http://www.hoselton.com/about-us/hoselton-preowned-promise/ Please call us @ (585) 662-2670 with any questions and to check availability. CLEAN HISTORY & NO ACCIDENTS, 4-Wheel Independent Suspension, 60/40 Split Fold-Down Rear Seatback, ABS w/Electronic Brake Force Distribution (EBD), Accessory Group 1, Active Front Head Restraints, Adjustable Head Restraints w/Tilt, Air Conditioning, Cooled Glovebox, Cruise Control, Deluxe Console w/Storage Box Armrest, Dual Front Illuminated Vanity Mirrors, Electronic Stability Control, Front Fog Lights, Front Map Pockets, Front Variable Intermittent Wipers, Front, Front Seat Side & Side Curtain Airbags, Power Door Locks, Power Heated Mirrors, Power Windows, Rear 12V Power Outlet, Rear Center Armrest w/Cupholders, Rear Wiper, Remote Keyless Entry w/Alarm, Seatback Pockets, Solar Glass, Steering Wheel Audio Controls, Sunglass Holder & Map Lights, Tilt & Telescoping Leather Steering Wheel, Tire Pressure Monitoring System, Traction Control System, Trip Computer. Included with our Pre-Owned Promise you will received: * 12 Months or 12k mile Wearable Item Coverage * 6 Months or 6k mile Major Item Coverage * Love or Leave it Promise with 3 Day Refunds or 30 Day Exchanges * 12 Months of Roadside Assistance and much more!! Click her for complete details http://www.hoselton.com/about-us/hoselton-preowned-promise/ Please call us @ (585) 662-2670 with any questions and to check availability. CARFAX ONE OWNER, CLEAN HISTORY & NO ACCIDENTS. Included with our Pre-Owned Promise you will received: * 12 Months or 12k mile Wearable Item Coverage * 6 Months or 6k mile Major Item Coverage * Love or Leave it Promise with 3 Day Refunds or 30 Day Exchanges * 12 Months of Roadside Assistance and much more!! Click her for complete details http://www.hoselton.com/about-us/hoselton-preowned-promise/ Please call us @ (585) 662-2670 with any questions and to check availability. ALLOYS, HEATED SEATS, 4WD, 4WD, Dark Slate Gray w/Premium Cloth Bucket Seats. Included with our Pre-Owned Promise you will received: * 12 Months or 12k mile Wearable Item Coverage * 6 Months or 6k mile Major Item Coverage * Love or Leave it Promise with 3 Day Refunds or 30 Day Exchanges * 12 Months of Roadside Assistance and much more!! Click her for complete details http://www.hoselton.com/about-us/hoselton-preowned-promise/ Awards: * 2012 IIHS Top Safety Pick (with optional side torso airbags) Please call us @ (585) 662-2670 with any questions and to check availability. CARFAX ONE OWNER, CLEAN HISTORY & NO ACCIDENTS, Black/Blue w/Leather Seating Surfaces, ABS brakes, Electronic Stability Control, Emergency communication system, Heatable Front Bucket Seats, Heated door mirrors, Heated front seats, Illuminated entry, Low tire pressure warning, Navigation System, Power moonroof, Radio: RNS 315 Touchscreen Navigation System, Remote keyless entry, Traction control. Included with our Pre-Owned Promise you will received: * 12 Months or 12k mile Wearable Item Coverage * 6 Months or 6k mile Major Item Coverage * Love or Leave it Promise with 3 Day Refunds or 30 Day Exchanges * 12 Months of Roadside Assistance and much more!! Click her for complete details http://www.hoselton.com/about-us/hoselton-preowned-promise/ Please call us @ (585) 662-2670 with any questions and to check availability. Black w/Cloth Seat Trim. Included with our Pre-Owned Promise you will received: * 12 Months or 12k mile Wearable Item Coverage * 6 Months or 6k mile Major Item Coverage * Love or Leave it Promise with 3 Day Refunds or 30 Day Exchanges * 12 Months of Roadside Assistance and much more!! Click her for complete details http://www.hoselton.com/about-us/hoselton-preowned-promise/ Please call us @ (585) 662-2670 with any questions and to check availability. CLEAN HISTORY & NO ACCIDENTS, BLUETOOTH, ALLOYS. Included with our Pre-Owned Promise you will received: * 12 Months or 12k mile Wearable Item Coverage * 6 Months or 6k mile Major Item Coverage * Love or Leave it Promise with 3 Day Refunds or 30 Day Exchanges * 12 Months of Roadside Assistance and much more!! Click her for complete details http://www.hoselton.com/about-us/hoselton-preowned-promise/ Awards: * 2011 IIHS Top Safety Pick Please call us @ (585) 662-2670 with any questions and to check availability. CARFAX ONE OWNER, CLEAN HISTORY & NO ACCIDENTS, BLUETOOTH, BACK UP CAMERA, ALLOYS, DUAL POWER SEATS, HEATED SEATS, MOON ROOF, LEATHER, NAVIGATION, 4WD, 4WD, Quick Order Package 23H. Included with our Pre-Owned Promise you will received: * 12 Months or 12k mile Wearable Item Coverage * 6 Months or 6k mile Major Item Coverage * Love or Leave it Promise with 3 Day Refunds or 30 Day Exchanges * 12 Months of Roadside Assistance and much more!! Click her for complete details http://www.hoselton.com/about-us/hoselton-preowned-promise/ Awards: * 2014 IIHS Top Safety Pick Please call us @ (585) 662-2670 with any questions and to check availability.